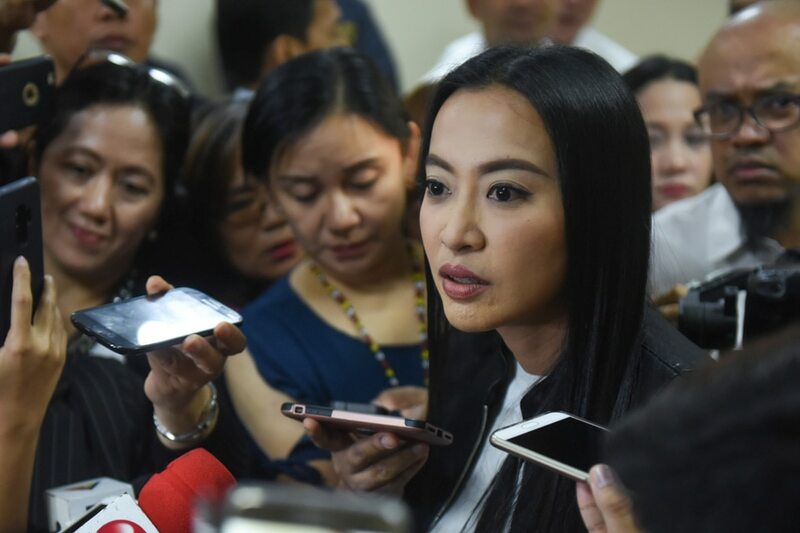 MANILA -- Communications Assistant Secretary Margaux "Mocha" Uson said Wednesday she was resigning from her post to aid the passage of her agency's budget, but warned critics that her fight was not yet over. The House of Representatives had deferred action on the budget of the Presidential Communications Operations Office after Uson failed to attend budget deliberations. She told a separate budget hearing at the Senate Wednesday that she missed the House hearings because she was at the United Nations General Assembly. "Ako na po ang magsasakripisyo para maipasa na ang budget ng PCOO. Ako ay nagdesisyon na mag-resign na po," Uson said. "Hindi po ito katapusan ng laban, umpisa lang po ito," said Uson, a longtime supporter of President Rodrigo Duterte who has 5 million followers on Facebook. Addressing her critics, Uson said: "'Wag kayo magkakamaling isipin na nagtagumpay kayo. Hindi ako nagbitiw sa posisyon dahil takot akong harapin kayo. Gusto ko lang na pag nagharap tayo ay patas ang laban." Duterte will likely accept Uson's resignation, said Special Assistant to the President Christopher "Bong" Go. "Nirerespeto po naman ang kanyang pagre-resign at nagpapasalamat rin kami kay Asec. Mocha sa kanyang naging serbisyo po sa gobyernong Duterte. Naging good ally po siya," Go told GMA News TV. Uson alleged that several left-leaning lawmakers were deliberately stalling the PCOO's budget after her interview with some Lumad, who claimed they were being "used" by the left against Duterte. She also slammed congressmen for politicizing budget deliberations. "Kayong ilang mga mambabatas ay gingamit ang posisyon upang takutin ang ilang ahensya ng gobyerno na hindi sumasakay sa inyong pansariling agenda," she said. Uson recently drew flak over a video about federalism that featured dancing and another clip that courted protests from the deaf community.